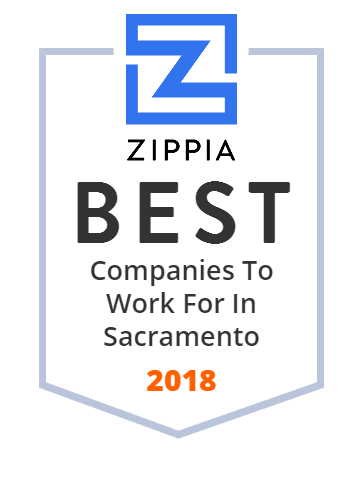 We hand-curated a list of the best companies to work for headquartered in and around Sacramento, CA using data on salaries, company financial health, and employee diversity. Aerojet Rocketdyne (AR) Holdings, Inc., formerly GenCorp, Inc., is an innovative, technology-based company, with the creative, inventive minds of nearly 5,000 employees, providing innovative solutions to its customers in the aerospace and defense and real estate markets. Headquartered in California, AR Holdings' businesses include Aerojet Rocketdyne and Easton Real Estate at facilities across the United States and in Europe. The California Community Colleges is the largest system of higher education in the nation, with 2. 1 million students attending 115 colleges. Their colleges provide students with the knowledge and background necessary to compete in today's economy. With a wide range of educational offerings, the colleges provide workforce training, basic courses in English and math, certificate and degree programs and preparation for transfer to four-year institutions. The Sacramento Municipal Utility District provides electricity to Sacramento County, California, and a small portion of adjacent Placer County. The McClatchy Company is a publicly traded publishing company based in Sacramento, California. It operates 29 daily newspapers in fourteen states and has an average weekday circulation of 1. 6 million and Sunday circulation of 2. 4 million. In addition to its daily newspapers, McClatchy also operates several websites and community papers, as well as a news agency, McClatchyDC, focused on political news from Washington, DC. Sacramento County, founded in 1850, provides local government services ranging from animal licensing to health and welfare to zoning. The County has seven incorporated cities: Sacramento (County Seat), Elk Grove, Citrus Heights, Rancho Cordova, Folsom, Galt, and Isleton. The institution is governed by a five-member Board of Supervisors. Other elected officials include the Assessor, District Attorney and Sheriff. TCCF's mission is to be the provider of choice to improve the Quality of Life for at-risk and underserved populations. Everything we do is geared toward fitting you as an individual. Whether it's footwear, apparel or sports bras, you have a fit that's best for you and we're here to help you find it. That's our Fitlosophy™. Birdie's was initially set out to solve the problem of finding a slipper that's stylish enough to entertain in. Founders Bianca Gates & Marisa Sharkey created a new category of footwear. Birdies combines the support of a sneaker, the softness of a slipper and the style of a designer flat and the finishing touch to any outfit. This unique balance of style, comfort and versatility have resulted in women wearing Birdies at home and everywhere. ISinc, established in 1982 in Sacramento, CA, provides technical services from desktop training, network maintenance and support to software solutions. Its professionals provide high-quality education and training to help clients adopt new technologies and meet new business challenges. The company provides an online Learning Management Solution or the possibility to attend any of its classes in person at its facility in Sacramento.